Have you seen these new pocket dolls by Coral & Tusk? 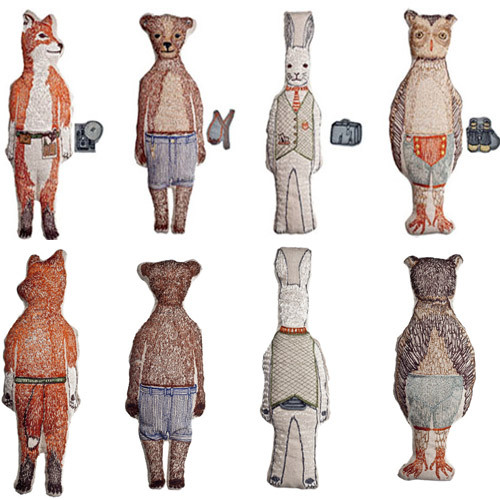 The pocket doll collection has four animal designs - owl, fox, rabbit and bear, that are completely embroidered in front and back. 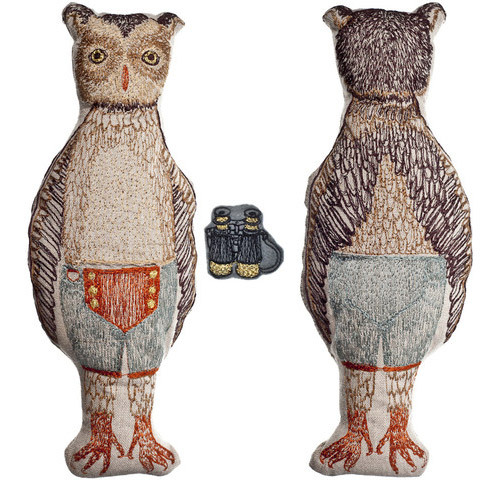 Each animal doll comes with a removable objects in their pocket like owl with binoculars, fox with camera, rabbit with suitcase and bear with catapult.